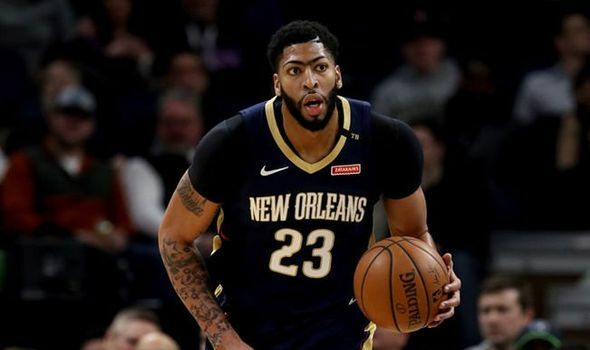 The trade deadline has passed, and Anthony Davis is back in action. The Pelicans forward was not traded, and he starred in the 122-117 victory over the Timberwolves for his side. Davis scored 32 points, followed by teammate Jrue Holiday who dropped 27. Karl-Anthony Towns scored 32 for Minnesota. Bradley Beal had 25 points and 13 assists and newly acquired Bobby Portis Jr. scored 30 off the bench as the Wizards won 119-106 against the Cleveland Cavaliers. J. J Redick was hot from the field, and the guard scored 34 in the 76ers 117-110 win over the Denver Nuggets. Nikola Jokic had a triple-double again, with 27 points, 10 rebounds, and 10 assists. 29 points and 20 rebounds from Andre Drummond meant the the Pistons claimed a 120-103 win over the struggling Knicks. Lauri Markkanen’s 31 points and 18 rebounds propelled the Bulls past the Nets, by a scoreline of 125-106. The Mavericks gave away a staggering 80 points in the paint, as they lost 122-107 to the Milwaukee Bucks. Giannis Antetokounpo took full advantage, scoring 29 himself. The Warriors rolled to an easy victory in Pheonix, beating the Suns 117-107. A strong fourth-quarter rally inspired by Steph Curry was enough for the win. The Kings staged a comeback, outscoring the Heat 27-13 in the fourth quarter to win 102-96. That’s all the action from today, visit this space tomorrow for more of the same!